As one of the world’s largest capital goods companies, designing, manufacturing and selling agricultural equipment, construction machinery, trucks, buses, specialty vehicles and powertrains, with a workforce of 63,356 employees and a commercial presence in approximately 180 countries, CNH Industrial seeks to promote high sustainability standards among its suppliers. Tweet This! 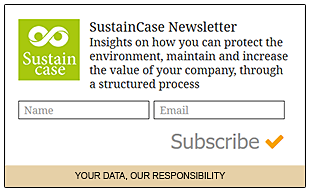 This case study is based on the 2017 Sustainability Report by CNH Industrial published on the Global Reporting Initiative Sustainability Disclosure Database that can be found at this link. Through all case studies we aim to demonstrate what CSR/ sustainability reporting done responsibly means. Essentially, it means: a) identifying a company’s most important impacts on the environment, economy and society, and b) measuring, managing and changing. In its 2017 Sustainability Report CNH Industrial identified a range of material issues, such as circular product life cycle, CO2 and other air emissions, self-sustaining food systems, renewable energy, employee engagement. Among these, promoting social and environmental responsibility among its suppliers stands out as a key material issue for CNH Industrial. mailing, dealerships, toll-free numbers, etc. To identify and prioritise material topics CNH Industrial engaged, via an online survey or direct interview, with a sample of 1,247 stakeholders among employees, customers, dealers, opinion leaders, public institutions, NGOs, investors and journalists. 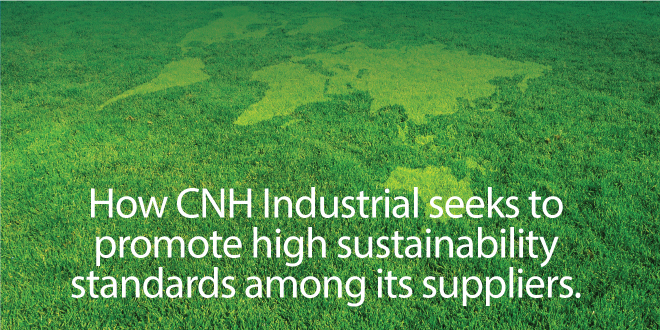 What actions were taken by CNH Industrial to promote social and environmental responsibility among its suppliers? CNH Industrial’s Supplier Code of Conduct is available on the corporate website in 8 languages and is circulated to suppliers through the CNH Industrial Supplier Portal. The Supplier Code of Conduct requires respect for, among others, labour and human rights, environmental protection and business ethics. It applies to the entire supply chain, and suppliers are required to transfer the Code’s principles to their employees, subsidiaries, affiliates and subcontractors. CNH Industrial applies a Potential Suppliers Assessment (PSA), a process that is carried out before the procurement phase, to allow potential new suppliers to participate in tenders. PSA evaluation criteria include key sustainability aspects, with a clear reference to environmental and occupational health and safety management. Actually, one of the requirements is the presence of an Environmental and Health and Safety System in the working area, preferably certified by a third party. Additionally, all new suppliers have to comply with the CNH Industrial Code of Conduct and Supplier Code of Conduct. They also have to provide references and show abilities relating to: fighting corruption, protecting and safeguarding the environment, promoting health and safety at work, ensuring non-discrimination, prohibiting forced and/or child labour and recognising freedom of association. CNH Industrial asks suppliers to fill out a sustainability self-assessment questionnaire, providing information on human rights, the environment, compliance and ethics, diversity, and health and safety. 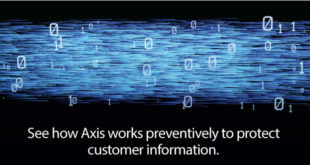 The process is completed through a dedicated IT platform developed and managed by a third party, to ensure transparency and neutrality. Questionnaires are then analysed and used to carry out a risk assessment, to identify critical suppliers whose compliance with sustainability criteria has to be addressed. In 2017, CNH Industrial performed 75 audits at 75 supplier plants worldwide. Note to CNH Industrial: With each case study we send out an email requesting a comment on this case study. If you have not received such an email please contact us.